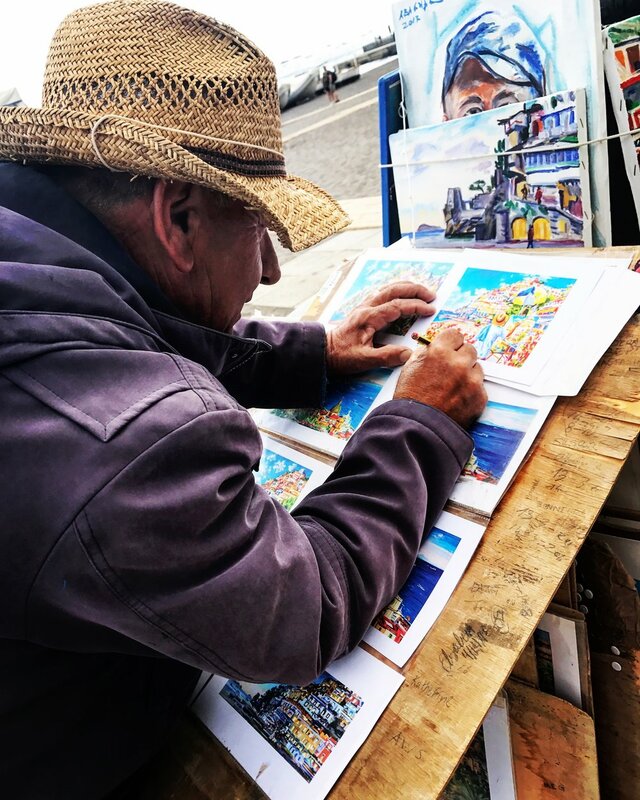 Are you dreaming about the perfect Instagram grid with vibrant colours and interesting shots from your Amalfi Coast holiday? Where to go to take the best shots on the Amalfi Coast? 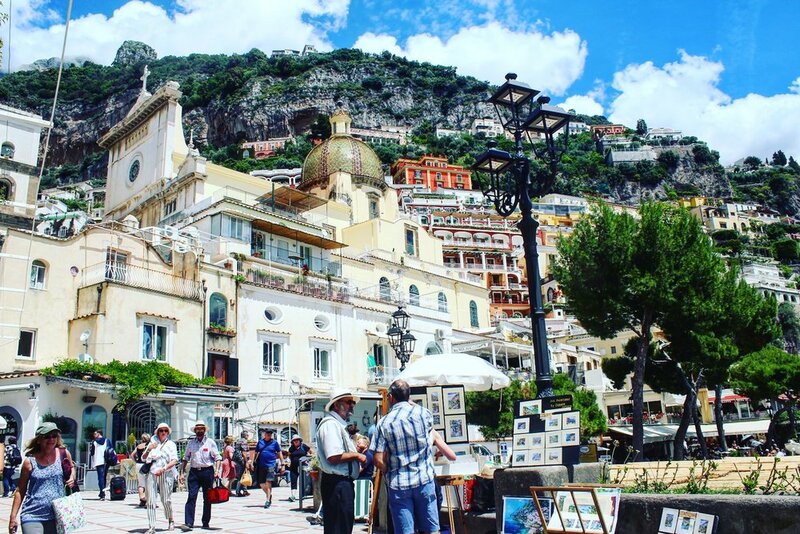 Where are the best spots to take the perfect shots of the Amalfi Coast? DON’T MISS THIS! Welcome to my TOP 6 most photographic places on the Amalfi Coast. If you’re looking to replicate every photo that has been taken by every traveller since the invention of cameras, this advice might expand your field of vision. This post will pinpoint the top places to go for photography on the Amalfi Coast, just adding a little splash of diversity to mix it up a bit. Sure there are the most popular places and attractions on the Amalfi Coast to take postcard photographs. 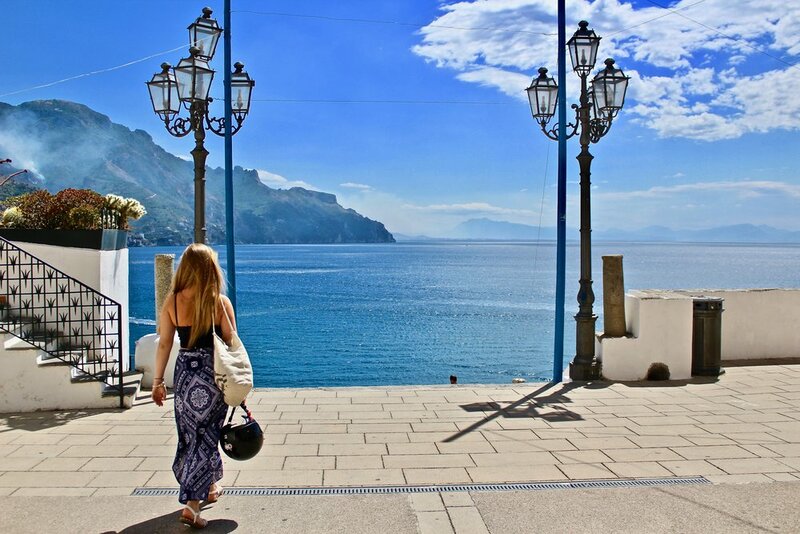 The Amalfi Coast is already a dream but it is still very much real. Many people photo shop or highly edit the Amalfi Coast. Why? I can’t tell you. The colour of the water, the houses, everything is colourful why put a filter on such an already vibrant destination? Stay true to your photos. Of course with light, these changes such as heightening the brightness are understandable. The Saint Maria Magdalena church Atrani whether it is sunrise or sunset, this balcony of beauty is so picturesque, a setting that looks to be apart of a film set. Go between the two lamp shades and CLICK! You will be amazed with the results! 2. Just arrived into Positano by bus? Walk down from the bus stop of Sponda and a couple of steps away is a brilliant staircase corner where you can sneak in and get the panorama of Positano in the backdrop. 3. Torre dello Ziro Amalfi is one of the best places for photographers to capture a bird’s eye view of the Amalfi Coast. Yes, the hike is not for the faint hearted but you can easily catch the bus (The Ravello line) to the town Pontone and then walk up. Keep in mind it is quite a 30 minute hike from the town, uneven surfaces and lots and lots of stairs!! 4. Giovanni del Toro- a street of vibrant colour off Via Richard Wagner, past the Villa Rufolo. 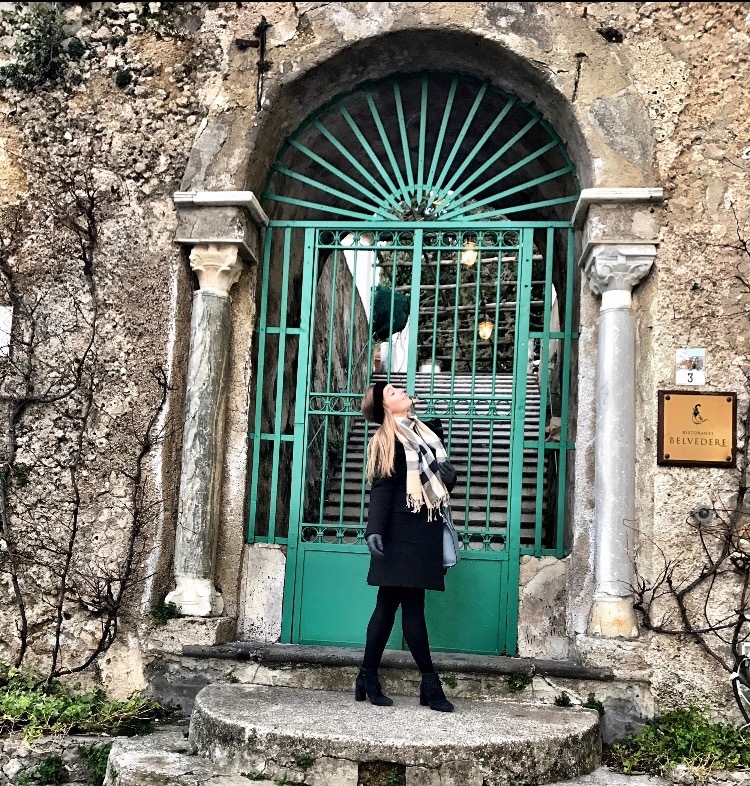 Ravello is an extremely photogenic place, I could have selected anywhere for that matter but this strip I particularly love the sunshine yellow, painted pink houses, the gardens overlooking the Villa Rufolo, the ruin that stands outside the Town Municipal. The strip continues to the gardens of Belvedere Principessa di Piedmonte, ancient arches with pink and purple in bloom. This street is home to all the luxurious hotels. Continue up this path to the Palazzo Palumbo, Palazzo Avino or the Belmond Caruso. Free to enter all you have to do is ask. Be sure that if there is a wedding taking place, please be respectful and choose another time to visit these hotels. They are closed to visitors during these times. 5. The Duomo and Cathedral of Saint Andrea is one of the most scenic spots on the Amalfi Coast for a photo. One of the most iconic shots of Amalfi bound together by a history of a glorious past whose foundations live on in this beauty of a building to this day. Best time to visit is in the early mornings where you are guaranteed to be one of the only people there! (how good is it to have a place all to yourself right?) Now don’t just pose in front of the cathedral. Use the interesting 13th century architecture, the arches, the columns, the bronze door, everything you see be creative! I hope you enjoyed my top 6 most photographic places on the Amalfi Coast. Vegemite Spaghetti YouTube channel like & Subscribe!